I went on a trip to Bali last June with Ryan and his aunt. In fact, this was the second time I traveled to a different country with Ryan's aunt! The first time was when we visited Ho Chi Minh in Vietnam (day 1, day 2, and day 3), and it was just the two of us then because Ryan had an important commitment at work. She's game for anything so trips with her are always fun! 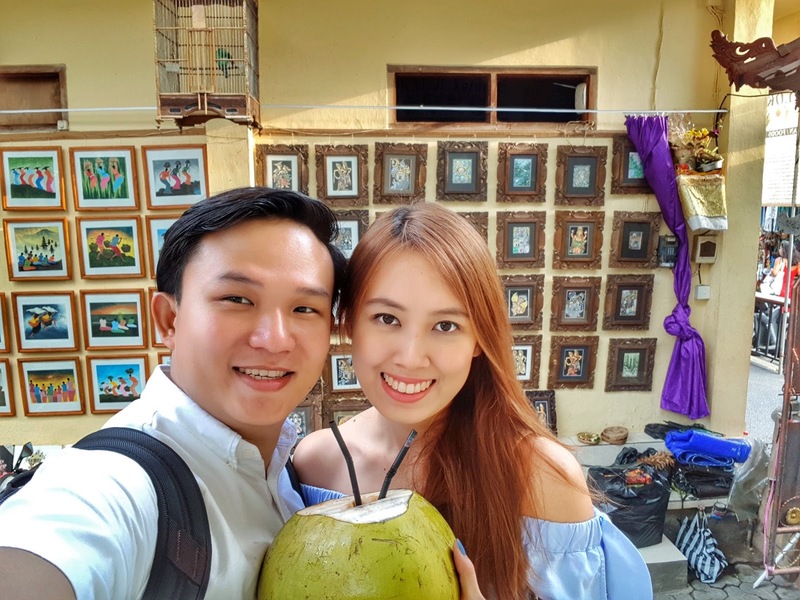 We arrived in Bali around 9am, dropped off our bags at an Airbnb in Seminyak then travelled to Ubud. 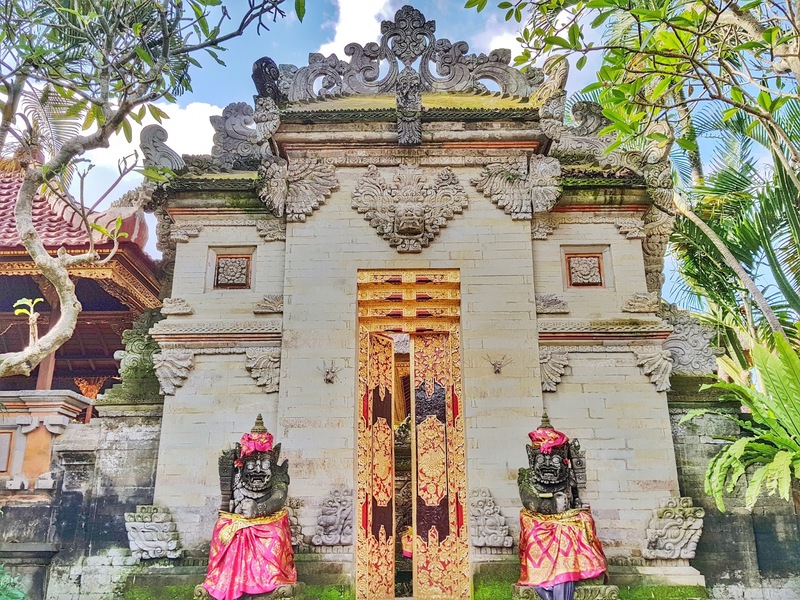 We stopped by Ubud Royal Palace to take a few photos and walked towards Ubud Art Market which was just across the street. The art market is a nice place to buy paintings and cute trinkets. You can get the items in really affordable prices if you know how to haggle. 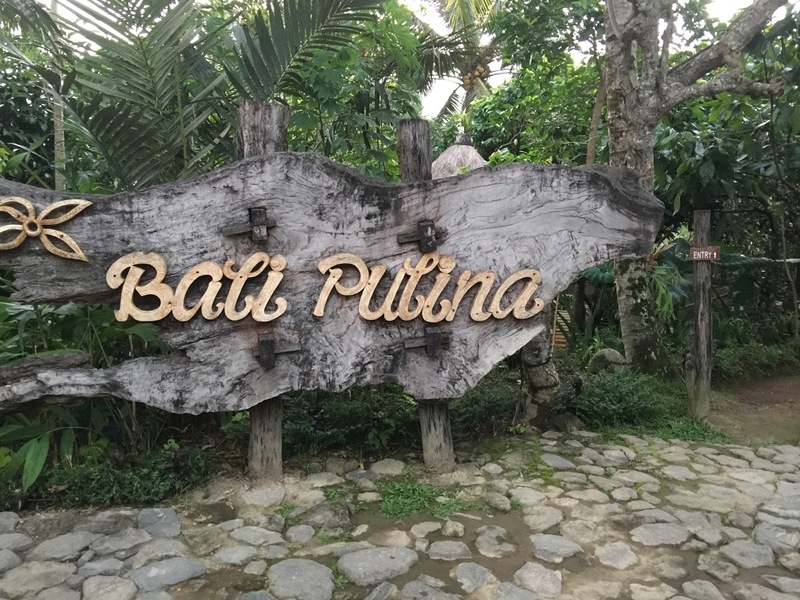 A coffee plantation called Bali Pulina was our next stop. They offer coffee and tea tasting for free, but they charge a small fee for Kopi Luwak (civet coffee). 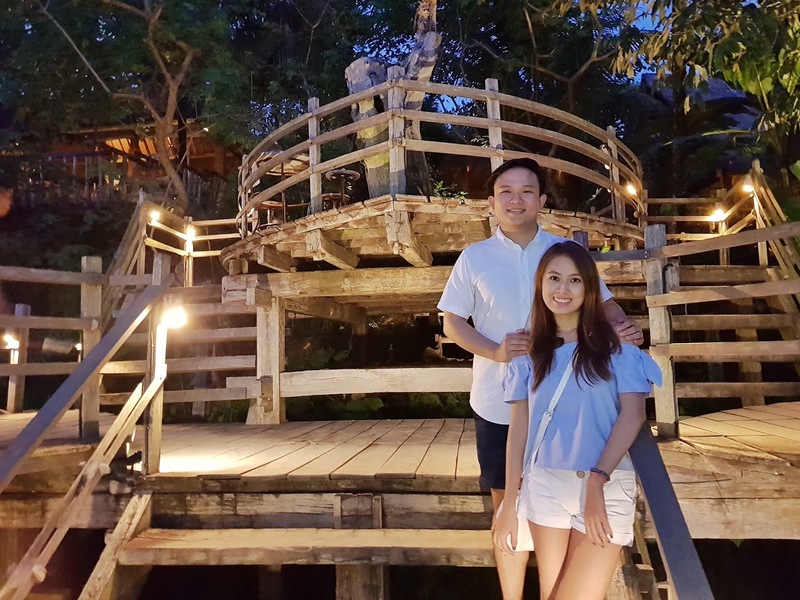 It's a nice place to chill and hang out, plus, it has a wonderful view of the rice terraces. The day was almost over but there was one last thing remaining in our itinerary-- take a cooking class! And so we decided to come back to Ubud the next day but more on that on my next post!